Despite the mortgage being most people’s biggest ever financial commitment, only a few borrowers understand how the Bank of England’s base rate affects it. Only just over a quarter of mortgage-holders in the UK know how changes to the BoE’s base rate can change their monthly payment. In August 2016 the BoE cut its base rate from 0.5% to 0.25%, its first cut in seven years. 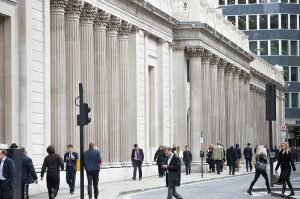 This rate was already at an historic low following the 2008 financial crisis and this latest cut was a bid to keep the economy ticking over after the UK’s vote to leave the European Union in June 2016. Anyone on a tracker mortgage (a mortgage that “tracks” the BoE’s base rate) saw their interest rate fall to 0.25%, while anyone clinching a fixed-rate deal could snap up rates as low as 1.39%. Unfortunately for people on standard variable rate (SVR) mortgages – the most common types for borrowers – their rates only fell by an average of 0.17%, from 4.8% to 4.63%. This means that there was a widening gap between the best and the least-best mortgage rates available. Borrowers on a more expensive SVR mortgage could, if they switched, save themselves up to another £380 a year by changing to one of the lower fixed-rate deals. Fixed rate deals were already saving an average of £3,120 to anyone switching; after August this rose to £3,500. This is great news, but only 5% of borrowers actually do anything about migrating, despite more than a third being unhappy with their current deal. Even if you’re quite content with your mortgage deal, you should always have a look at what else is on offer, especially if your fixed-term is coming to an end. Of course, don’t make any sudden moves without expert advice; but if you’re looking at the base rate and it’s looking good, it could be the right time to take the plunge. Copyright for the image within this blog post is owned by ‘IR Stone’, and has been licenced for use on this blog post through Big Stock Photo for editorial use (stock photo ID: 130635731). For questions relating to this image please contact the copyright owner directly.